I can keep watching this movie until I die. It seems like everyone in the cast was born to be in this film. 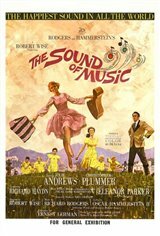 Classic old musical with wonderful cinematography, Rogers & Hammerstein music and, of course, that golden voice of Julie Andrews. Ignore the obviously ignorant trolls who know nothing about film. All they can do is be negative. For those that want a beautiful, enchanting yet thoughtful film that they can enjoy that also has an amazing musical score, this is the film for you. It's a classic for good reason. Wonderful music and cast. I could watch Julie Andrews almost every day! It should never have won the oscar over Dr. Zhivago. The latter superior in every way.